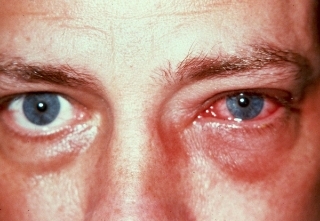 CONJUNCTIVITIS ("PINK EYE"): Conjunctivitis is the inflammation of the conjunctiva, the protective membrane that covers the surface of the eye and inner surface of the eyelids. Caused by infections, such as from bacteria, viruses, and fungi, allergens, and other irritants like smoke and dust, it is sometimes highly contagious and is usually accompanied by redness in the white of the eye and increased tearing and/or discharge. While many minor cases improve within two weeks, some can have serious corneal involvement and threaten sight, for which early treatment is crucial. DRY EYE DISEASE: Dry eye disease refers to a breakdown in the quantity or quality of tears to moisten, cleanse, and protect the eyes. This is significant because with each blink, tears protect the surface of the eye, washing away dust and microorganisms. Symptoms include scratchy eyes, burning, mild redness, gritty-feeling eyes, and even blurred vision. Oral medications, reading, computer tasks, and dry environments may aggravate marginally dry eyes. 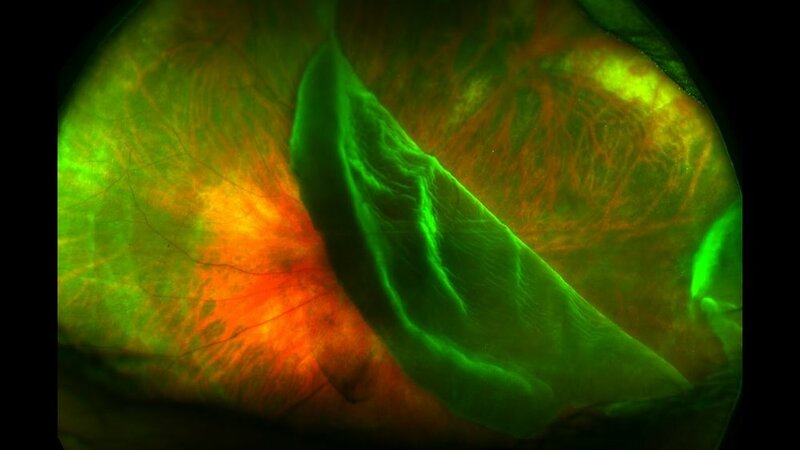 Dry eyes can be diagnosed by using dyes to observe tear patterns, evaluation of the amount of tears on the front of the eye, and from review of your symptoms. Treatment may include artificial tears, omega-3 fish oils, prescription eye drops, and/or punctal plugs inserted in the tear drainage canals. BLEPHARITIS: Blepharitis is a general term for an inflammation of the eyelid and eyelashes. It is among the most common and stubborn eye conditions usually resulting from poor eyelid hygiene, a low-grade bacterial infection (usually staphylococcal), an allergic reaction, mites, and/or abnormalities in oil gland function. Like some other skin conditions, blepharitis can be controlled but may not be cured. The main goals in treating it are to reduce the amount of bacteria along the lid margin and open plugged glands. CATARACTS: The natural lens in the eye gradually becomes less clear as we get older. When opacities develop in the lens, vision will be impaired. Our doctors can diagnose and manage cataract care. When the cataract affects the vision to the extent that you cannot read or see distant objects comfortably, we will recommend cataract surgery. We co-manage with cataract specialists who are proven experts in cataract surgery. Cataract surgery can provide you with a bright new world of vision. RETINAL HOLES, TEARS, & DETACHMENTS: Retinal holes and tears can occur when the clear, gel-like substance in the center of your eye (vitreous) shrinks and tugs on the thin layer of tissue lining the back of your eye (retina) with enough traction to cause a break in the tissue. This can be caused by injury to the eye. They are often accompanied by the sudden onset of symptoms, such as floaters and flashing lights. A retinal detachment is defined by the presence of fluid under the retina. This usually occurs when fluid passes through a retinal tear, causing the retina to lift away from the underlying tissue layers. Such breaks in the retina can be addressed with the application of laser treatments, cryotherapy, and other surgical procedures. DIABETIC EYE DISEASE: Diabetic patients should have a dilated retinal examination annually. Diabetes can cause existing and newly formed blood vessels to bleed and leak, damaging the retina. If this condition is discovered early, certain eye injections can stop the growth of these vessels, and laser treatment can destroy them. We have the latest technology to detect even the most subtle changes in the retina, and if we discover advancing diabetic eye disease, we will ensure that you receive the appropriate treatment. GLAUCOMA: Glaucoma gradually destroys the optic nerve tissue in the back of the eye. The greatest danger of glaucoma stems from the fact that it is painless, and that it has no obvious visual symptoms until significant damage has already occurred. It is oftentimes but not always associated with high pressure within the eye, which causes mechanical stress on the optic nerve, but vascular auto-regulatory insufficiency and other currently researched areas may play a role in its etiology. We always monitor for glaucoma during routine eye examinations. Tests include checking the pressure of the eyes, screening for peripheral vision defects, and analyzing the appearance of the optic nerve. If you are diagnosed with glaucoma, we typically prescribe medications in the form of topical eye drops that lower the eye pressure, successfully managing most cases of glaucoma. Specific laser treatments and eye surgeries are available in more advanced cases. AGE-RELATED MACULAR DEGENERATION (AMD): This eye disease, which we manage, occurs when there are changes to the macula, a small portion of the retina that is responsible for central, detailed, and color vision. It can occur in two forms, “dry” (atrophic) and “wet” (exudative). Most people with macular degeneration have the dry form, which does not involve any bleeding or leakage. The less common wet form may respond to certain eye injections and laser procedures, if diagnosed and treated early. Some common symptoms are a gradual loss of the ability to see objects clearly, distorted vision, a gradual loss of color vision, and a dark or empty area appearing in the central vision. Central vision that is lost to macular degeneration cannot be restored. Low vision devices, however, such as telescopic and microscopic lenses, can be prescribed to maximize existing vision. Researchers in the AREDS 2 Study have linked certain amounts of nutrients, such as lutein, zeaxanthin, vitamin C, vitamin E, and zinc, to reduced progression of macular degeneration. We provide a LINK TO A WEBSITE, where affected patients can purchase a vitamin containing this protective formula, which has been created by MaxiVision.